This entry was posted on January 26, 2011 by Russell Smith. 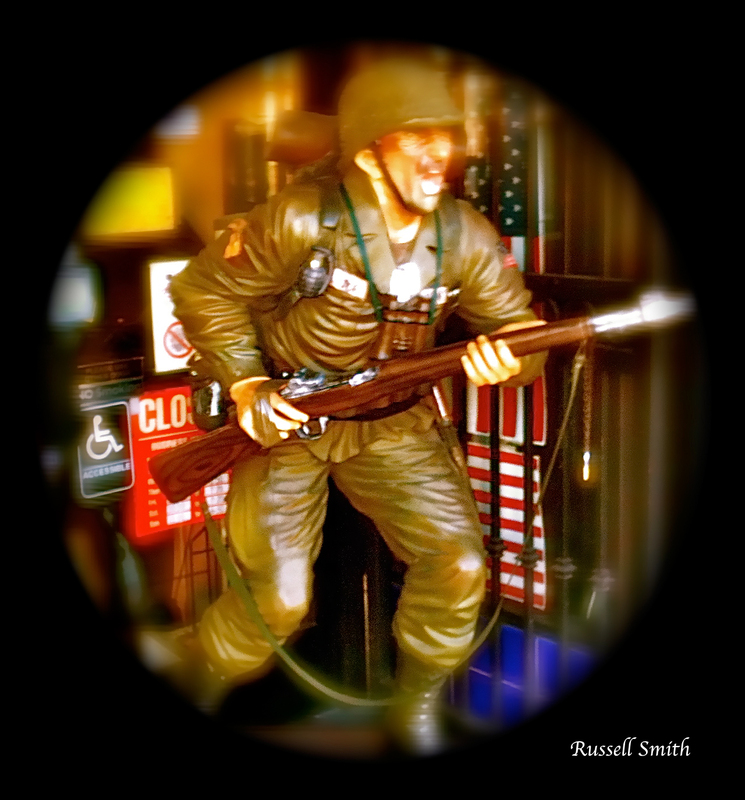 It was filed under Artwork, Statuary, Street and was tagged with emotional, lunge, lunging, postaday2011, rifle, soldier, solitary figure. Made me smile. Reminds me of the old “little green” soldiers all the boys played with when we were small. I like the duct tape on his hand, holding his rifle steady?